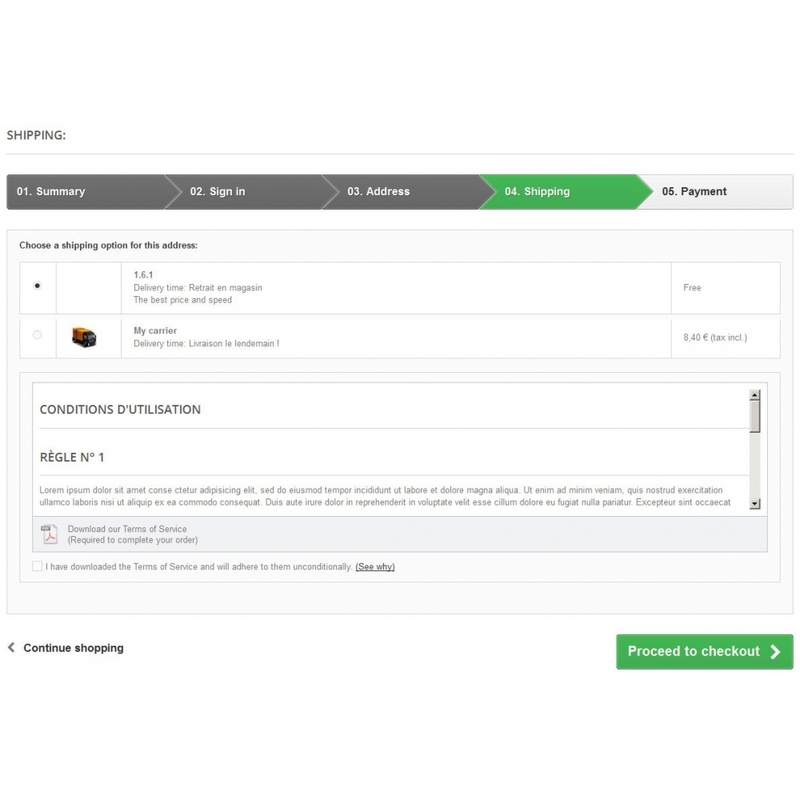 This module allows you to comply with the law by sending your GTC in PDF format when creating the order and / or forcing the client to download if to complete the process. 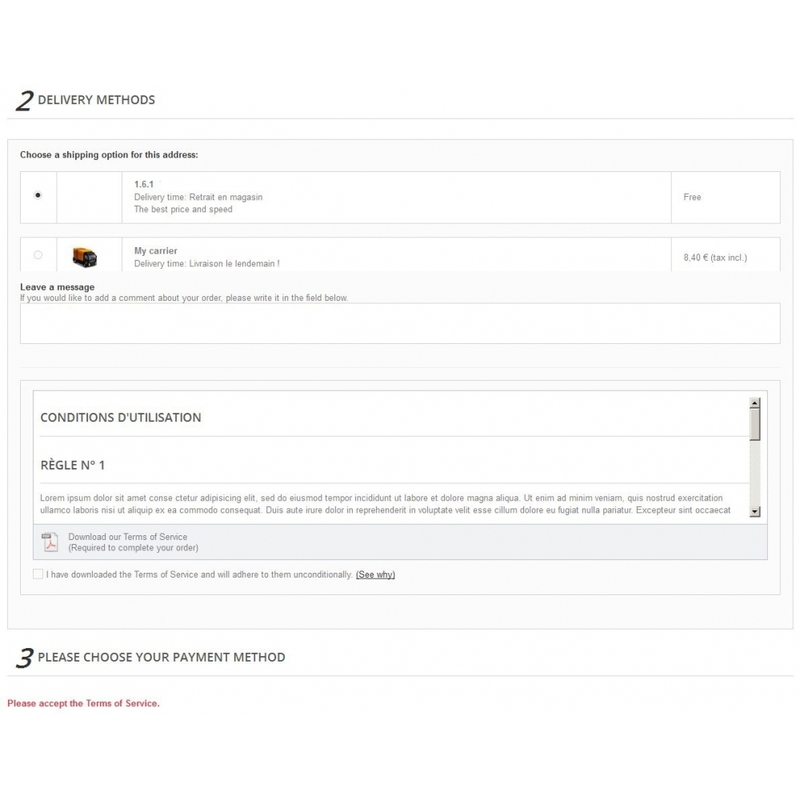 The PDF file can be generated automatically from the CMS page of your GTC, but you can also manually specify a language for each of your store. 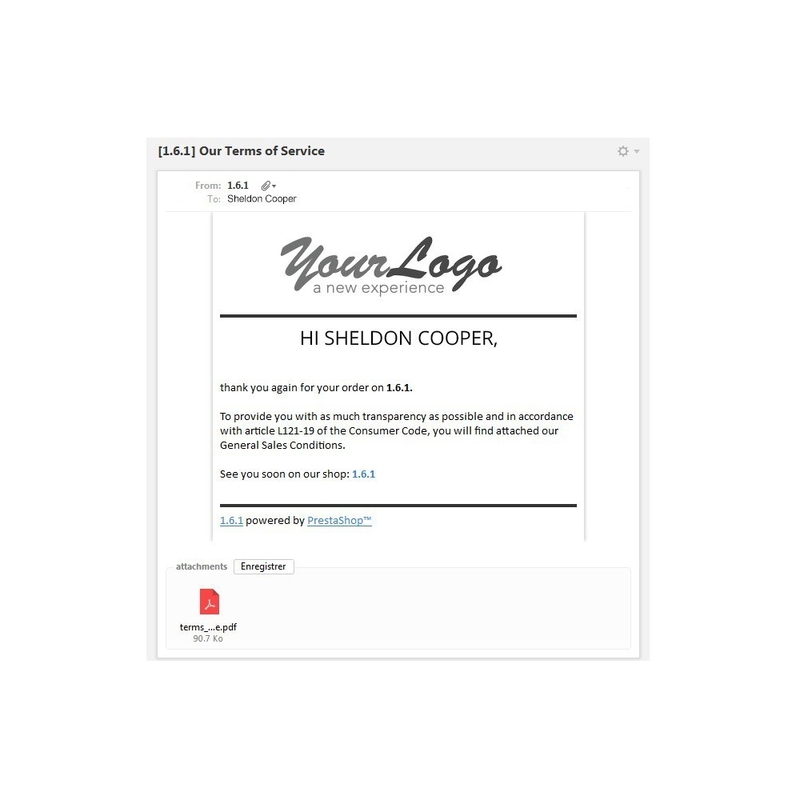 When the option "Force the download to complete the order" is enabled, the client must save the PDF file, he can not simply display it in the browser. 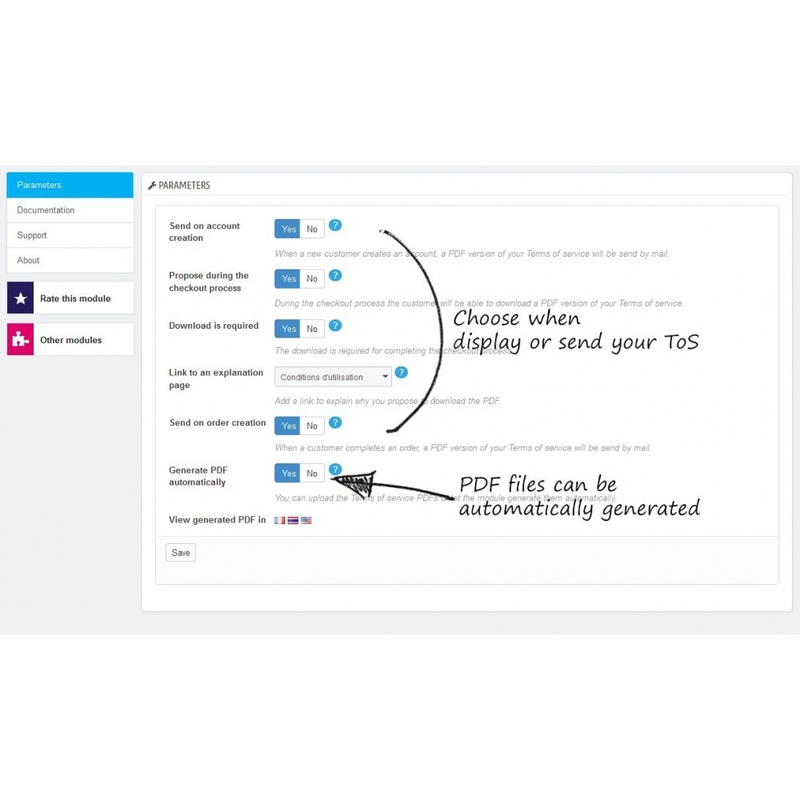 Generate PDF automatically. 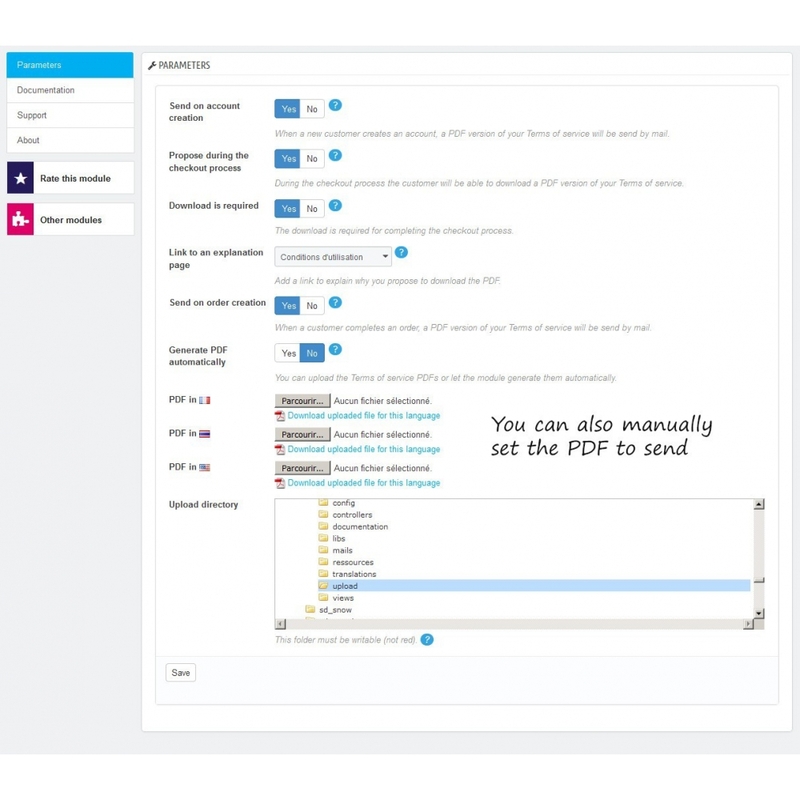 Alternatively you can send a PDF file by language. 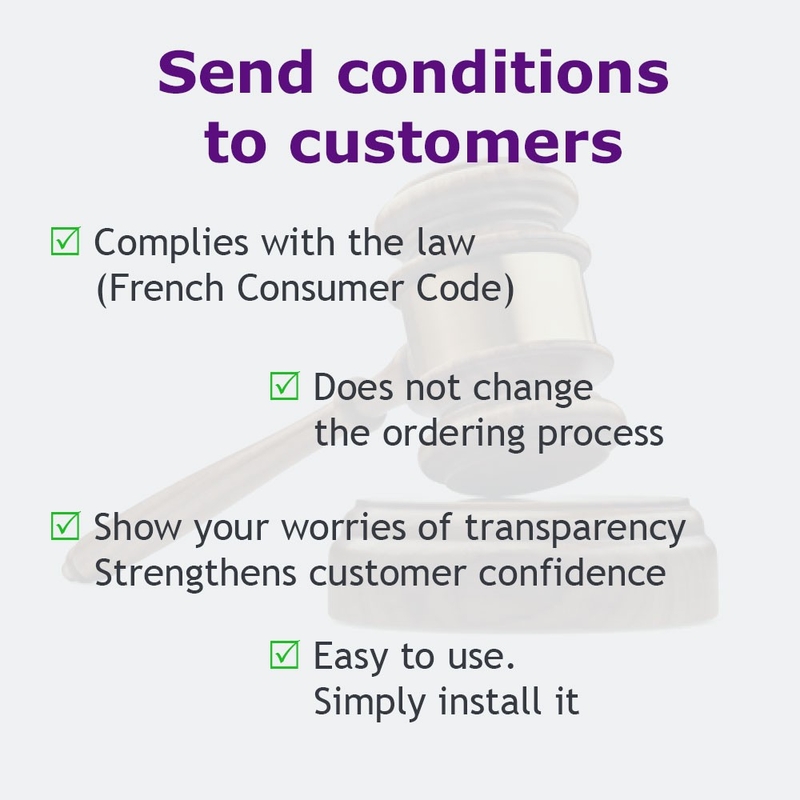 According to Article L121-19 of the French Consumer Code, the consumer must receive your general terms and conditions on a durable medium no later than at the time of delivery. In other words you must be sure that the customer receives your terms of sales during the ordering process to comply with this code. The simple display screen is not enough.